Mother's Day is Sunday, and I'm writing this post to remind myself to send my mama some beautiful flowers from Organic Bouquet. Last time I sent her flowers from Organic Bouquet, she wouldn't stop talking about how beautiful they were. So the fact that their flowers are all grown without pesticides just put it over the top. By supporting organic flower growers, you keep flower farmers and workers from being exposed to toxic chemicals used in conventional flower growing practices. 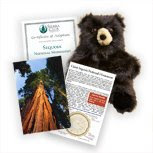 Choose from national parks like Sequoia or Yellowstone and get a cute little stuffed creature like a bear or moose to give to mom ($25). 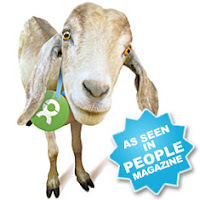 For as little as $15 you can help mom save Mother Earth with a charitable gift membership. Help protect one of the largest and most endangered forests in honor of mom (50 trees for $50). By adopting one of the animals through this org, you support the work they do in 100 countries around the world. No matter what you get mom, be sure to consider the impact of your gift on her health and the health and well-being of others on the planet.